There's a brand-new bar in town. Called Half Sour, the new arrival is located at 755 S Clark St. between Polk St and Harrison St in Printers Row. The new spot comes courtesy of Emily and Jesse Bloom, along with their partner, Elizabeth Norris. Executive chef Greg Hageli (Band of Bohemia, Acadia, and Tru) helms up the kitchen. Half Sour offers classic Jewish deli eats with a modern twist. For starters, offerings include latkes with charred scallion, creme fraiche, apple sauce and hot honey; a Bibb salad with salmon, avocado, cucumber, grapefruit and sunflower seeds; and mushroom barley soup with horseradish, sour cream and chives. Sandwiches are also available. There's the smoked pastrami with mustard and onion on rye; the lox on an everything bagel with tomato, onion and caper cream cheese; and a vegan burger that comes with grilled onion, Bibb lettuce, roasted tomato, pickle and vegan aioli. You can check out the full menu here. With a four-star rating out of 26 reviews on Yelp so far, the new addition has made a promising start. 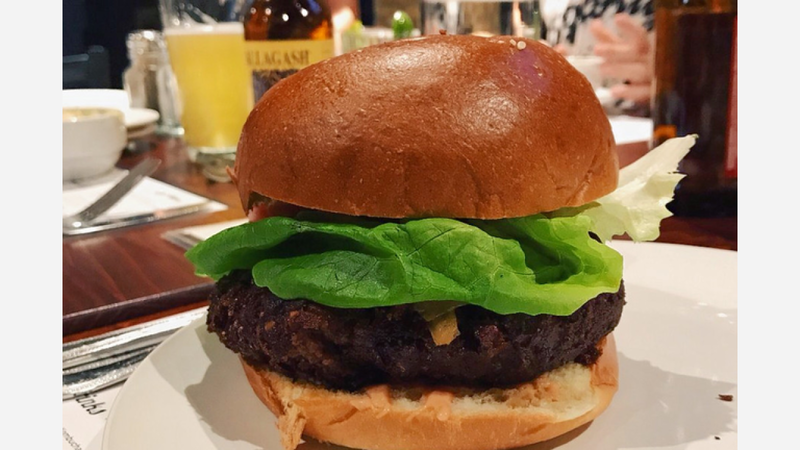 Ian H., who was among the first Yelpers to review the new spot on Dec. 16, said, "Service was fantastic, the entire team was friendly and bringing their A-game." Yelper Rebecca M. added:, "A wonderful addition to the neighborhood! The service and food here was really excellent. Everyone working there was very friendly." Interested? Stop by to welcome the new business to the neighborhood. Half Sour is open daily from 11 a.m. to 2 a.m.